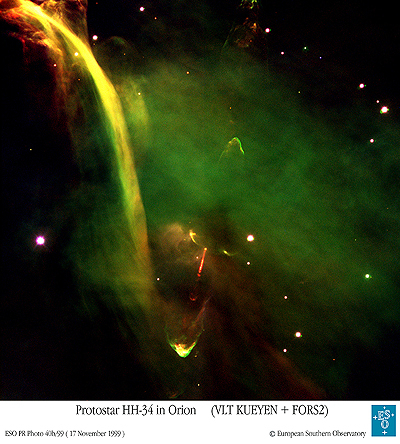 HH34 region is a faint emission region in Orion containing the "Waterfall", an arc-shapped Herbig-Haro object shown in the upper portion of this image. This is a composite image of 5 nm Astrodon H-a (mapped to green), 3 nm OIII (blue), 5 nm SII (red) and RGB. There are several HH objects in this image. 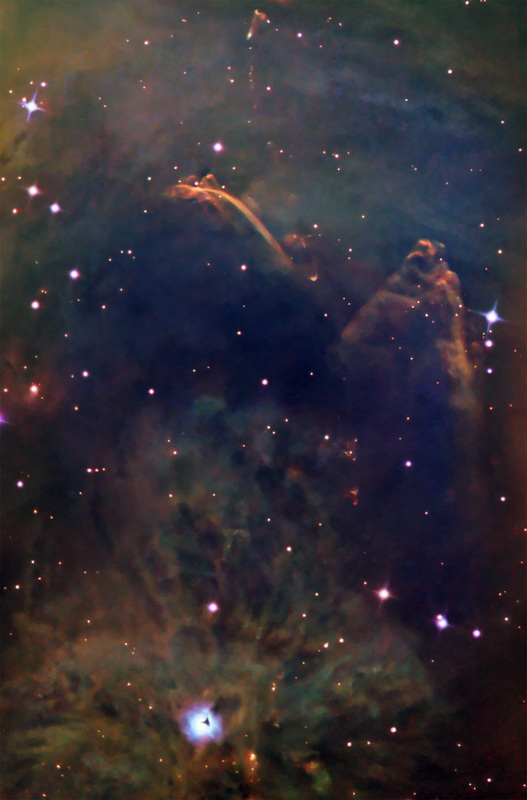 Herbig-Haro objects are luminous shock waves of outflowing jets from young stars that move at speeds of hundrreds of km/s and ionize the surrounding interstellar gas. Actually the arc structure is HH222 and the little patch at the 10 o’clock position near the bottom of the waterfall is HH34. The image below is from ESO for comparison.